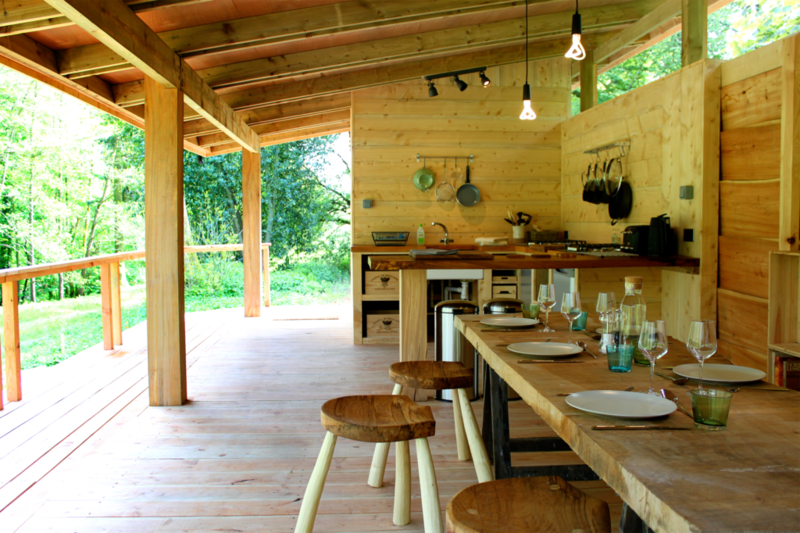 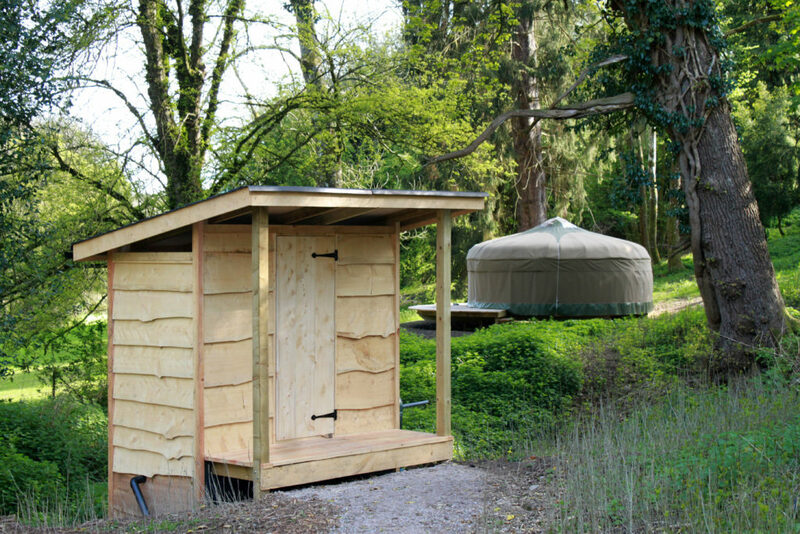 A composting loo is located close to the yurts and kitchen. 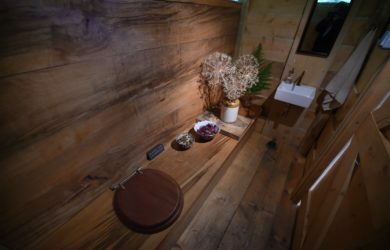 For those of you who are not familiar with compost loos, we provide instructions inside, and can assure you that ours is clean, comfortable and sweet-smelling! 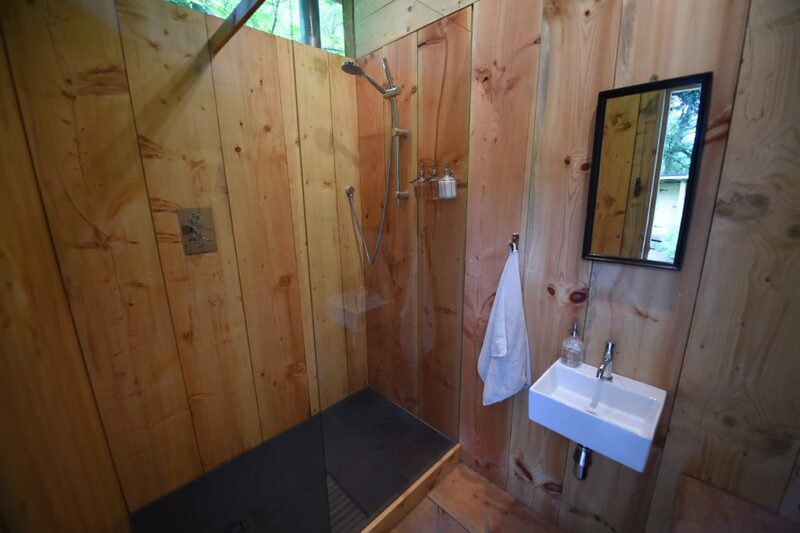 The loo has a rainwater-supplied basin. 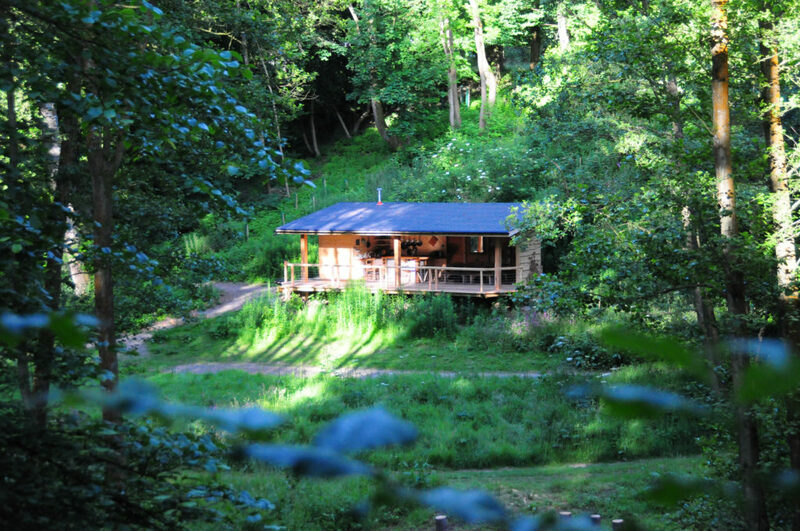 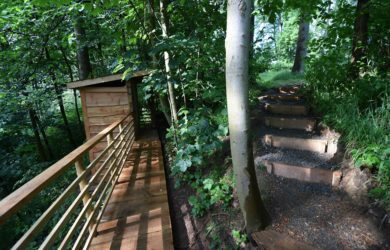 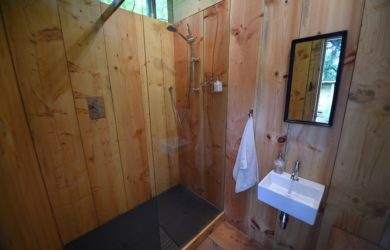 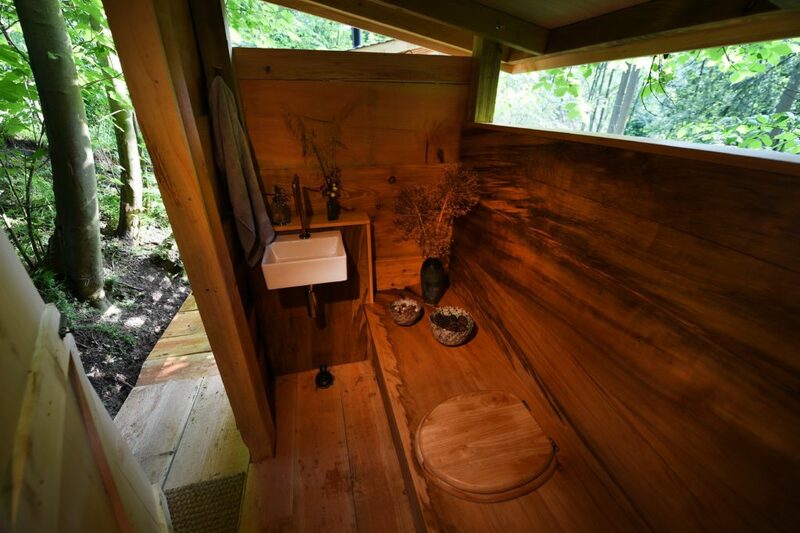 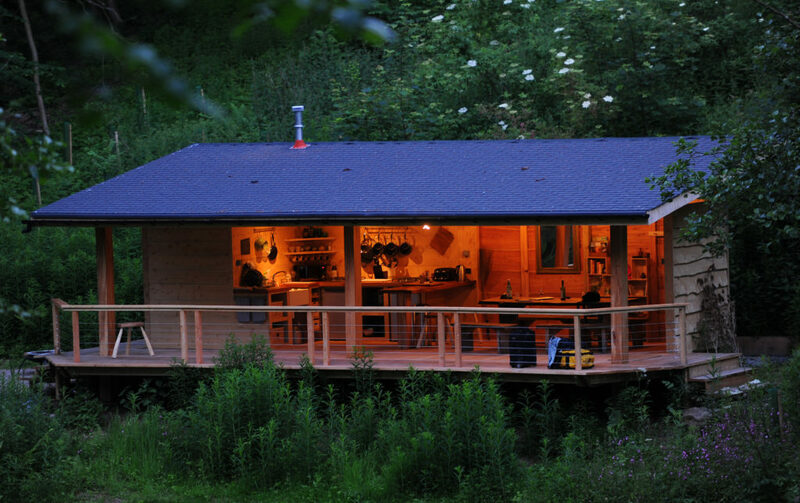 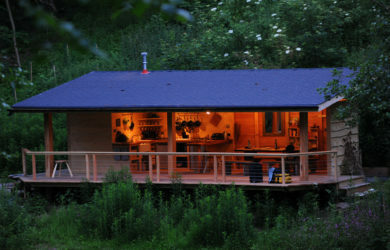 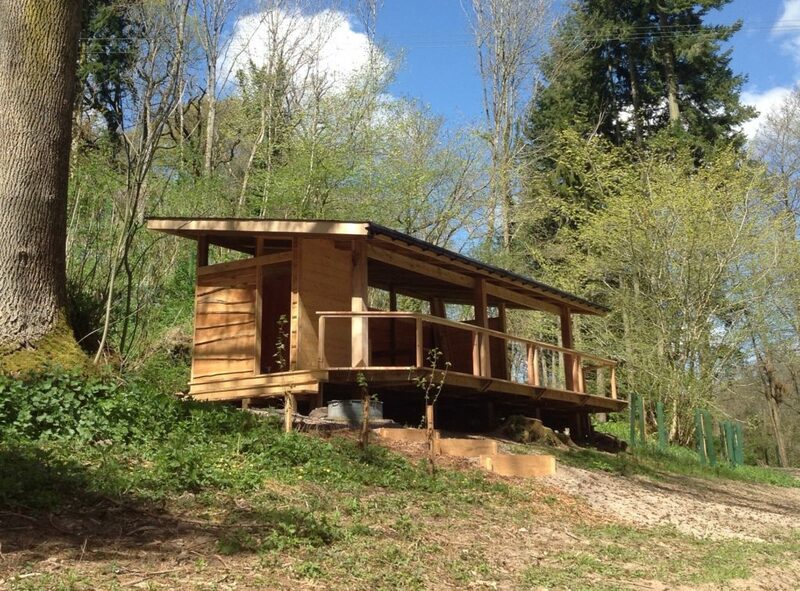 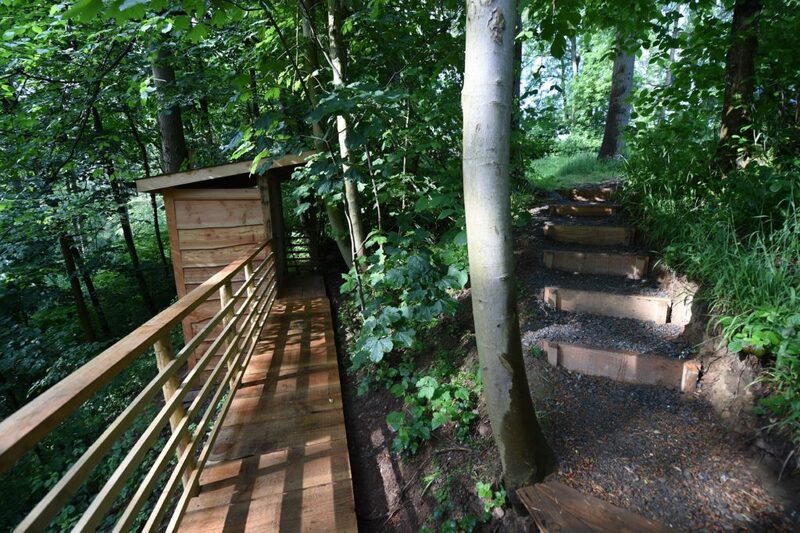 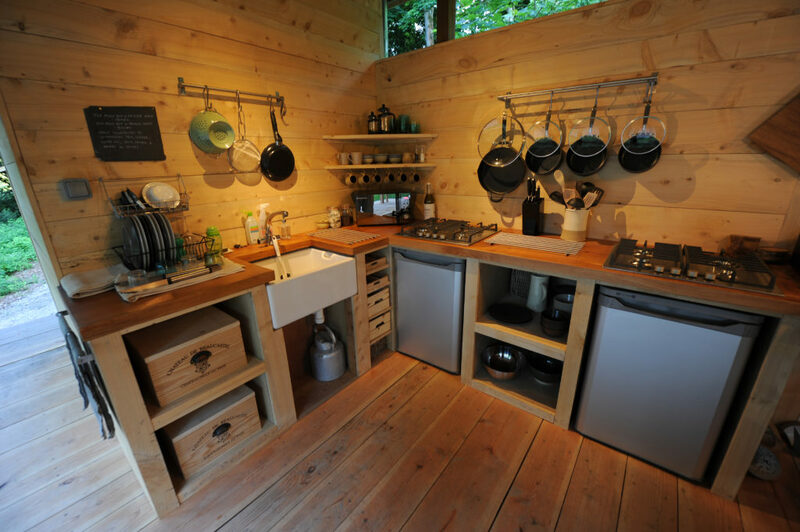 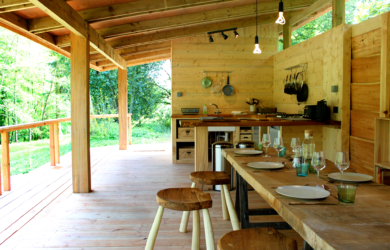 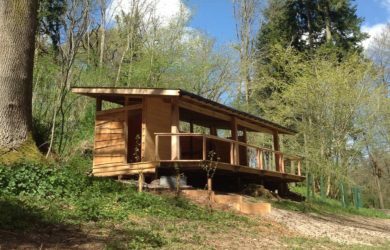 The cabin has its own private composting loo which is reached via a short walkway from the cabin and also has a rainwater-supplied basin for washing.